We have completed day 3 of the Camino and have walked about 60 miles. By the end of each day we feel as if we can not put one foot in front if the other. Our bodies are screaming at us to stop! We are very fortunate and have no blisters! Bill is wearing his flip flops and I am wearing light weight Merrill Barefoot Sneakers. Everybody else on the Camino has on hiking boots and their feet are wrecked – day 3 must be blister day. Too pooped to write more….. 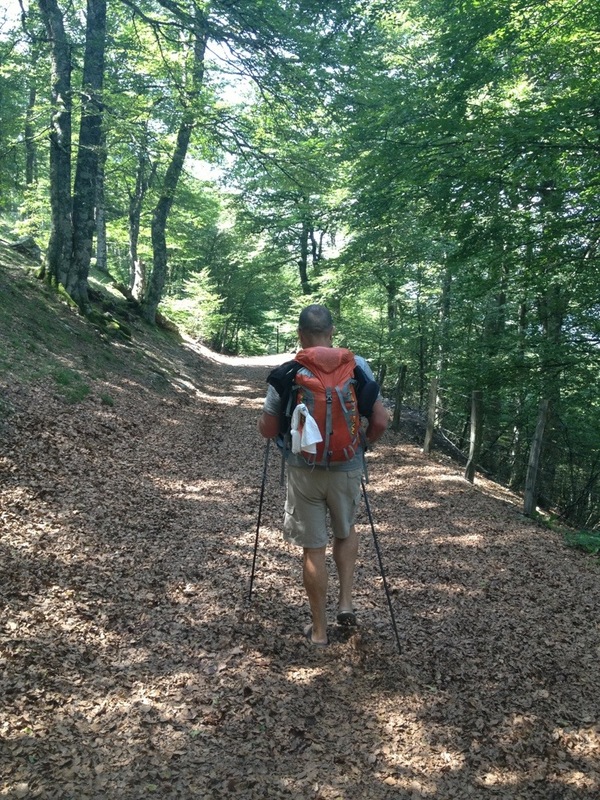 This entry was posted in Camino de Santiago, Spain and tagged Camino de Santiago on August 24, 2013 by Bill and Paige. I knew you both were a little crazy… 🙂 My feet hurt thinking about it!!! Sore feet are a daily deal!! !